Abhishekam fame Ravi Kiran is from Srikakulam, Andhra pradesh. 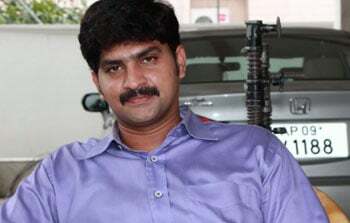 Ravi is Telugu TV Actor & Artist who acted in Telugu TV Serials,Telugu TV Shows for various channels.Ravi Kiran got married with Actress Sushma kiran who acted in Kotha bangaru lokam movie as Raga sudha (hero’s friend). Ravi Kiran is also active in Politics,TV artist Sri Ravikiran Joined in BJP in the presence of BJP AP(Seemandra)President Dr K Haribabu at BJP office Nampally in April 2014. Stay Tuned to Telugustop.com For More Updates about Actor Anchor & Artist Ravi Kiran. కొబ్బరి నూనెలో ఉన్న ప్రయోజనాలు తెలుసా?